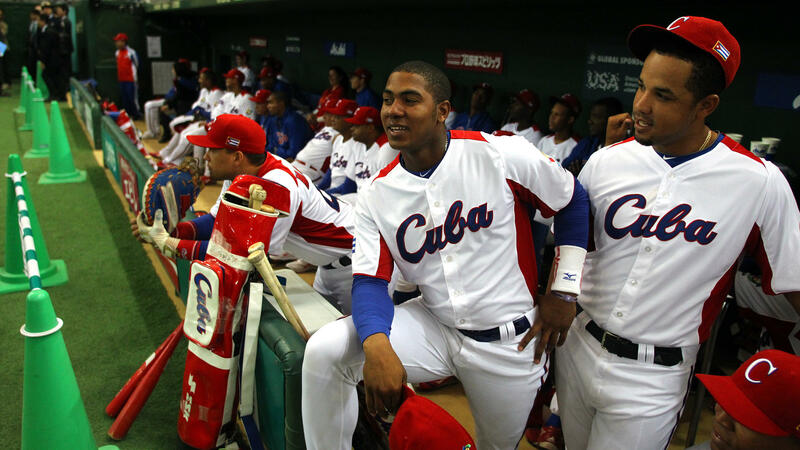 With An Assist From Smugglers, Cuban Players Make It To U.S.
Cuban baseball players have been defecting to the U.S. in growing numbers over the past two decades. Increasingly, smugglers play a role in getting the players off the island, U.S. baseball agents say. Cuba's team at the World Baseball Classic in Tokyo on March 8. More than 200 Cuban players have defected to the U.S. over the past two decades, and smugglers are increasingly involved in getting the players off the island, according to U.S. baseball agents. Cigars aren't the only thing smuggled out of Cuba these days. Cuban baseball players are also a hot commodity, and sports agents in the U.S. say the process is increasingly dominated by smugglers who track down players willing to defect and find surreptitious ways to deliver them to the United States. "The whole business got pretty much taken over by smugglers," says former baseball agent Joe Kehoskie. Kehoskie, who represented Cuban defectors from 1998 until 2008, calls the smuggling an "open secret" among agents and says that smugglers attempt to "sell" players to agents. He says the standard procedure for smugglers is to bring the player out of Cuba and hold him in a safe house in Mexico or the Dominican Republic until an agent pays a "finder's fee" to represent him. "Nobody is bringing Cuban baseball players off the island just out the goodness of their heart," he says. "It's a bare knuckles, capitalistic endeavor, from the time they're in Cuba to the time they're in a big league stadium in the United States." Kehoskie says he never dealt with smugglers, though he acknowledged that smugglers had been in contact with him and offered him players. A couple of Cuban players have been in the spotlight this year. Yasiel Puig has been having a sensational rookie season with the Los Angeles Dodgers. And Yoenis Cespedes of the Oakland Athletics won the Home Run Derby at the All-Star Game. Both are recent defectors. Puig has repeatedly refused to say how he arrived in the United States. The Associated Press reported Monday that a Cuban man imprisoned for human trafficking in Cuba has sued Puig. The man, Miguel Angel Corbacho, says Puig and his mother lied to Cuban authorities and implicated him in a plan to smuggle Puig out of Cuba. There have also been cases of agents and scouts being arrested and sometimes jailed for allegedly smuggling Cuban ballplayers. Most notably, former California-based agent Gustavo "Gus" Dominguez was convicted in 2007 of paying to smuggle five Cuban baseball players to the U.S. Dominguez was released in 2011. Juan Ignacio Hernandez Nodar, a former baseball scout, spent 13 years in a Cuban prison for smuggling players until he was released in 2010. Before Fidel Castro's revolution in 1959, Cubans were among the many Latin American players who regularly came to the U.S. But once Castro established control of the island, the rush of Cuban players ended, says Kit Krieger, founder of Cubaball tours. 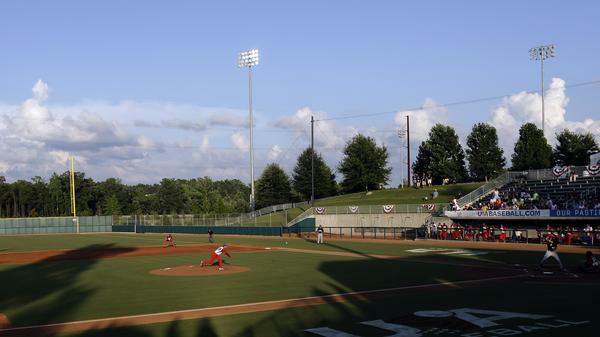 "Nobody left," says Krieger, who makes regular trips to Cuba to watch baseball games. "It was just impossible." He adds that no one even scouted Cuban players because of their lack of exposure and the Communist regime. "Everybody thought communism and baseball were incompatible," Krieger says. Two decades ago, a small number began to defect. Rene Arocha walked out of his hotel in 1991 during an international competition and was signed by the St. Louis Cardinals. Two years later, Alberto Castillo left while playing for Cuba in the 1993 World Junior Championships in Ontario, Canada. Since then, more than 200 Cuban baseball players have defected, according to Cubanball.com. They often cite three reasons for leaving: money, the desire to play the highest competition, and because in some cases they are not chosen to play on the extremely talented Cuban National team. "The question to me is not, 'Why do they leave?' " Krieger says, "but, 'Why do they mostly stay?' "
In the early days, some players like Arocha and Castillo simply walked out a hotel front door while playing abroad and never went back to Cuba. But as the number of defections has increased, and the smugglers have become involved, the process has grown more complicated. Kehoskie says he received calls from smugglers for at least 25 different players when he was an agent. Jaime Torres, an agent in Miami who's been in the business for 30 years, also said that smugglers are now transporting players out of Cuba and trying to "sell" them to agents. Torres represents notable Cuban players like Puig, Alexei Ramírez (Chicago White Sox), Jose Contreras (Boston Red Sox) and free agent Miguel Alfredo Gonzalez. Torres says he has never worked with smugglers and never will. He declined to comment on how Puig reached the U.S.
"Unfortunately, a lot of players have to go through smugglers to make it out of Cuba," Torres says. "They're in that position where they have no choice whatsoever but to go with whoever those individuals dictate that they should represent them." We've decided to take a weekly look at a word or phrase that's caught our attention, whether for its history, usage, etymology, or just because it has an interesting story. 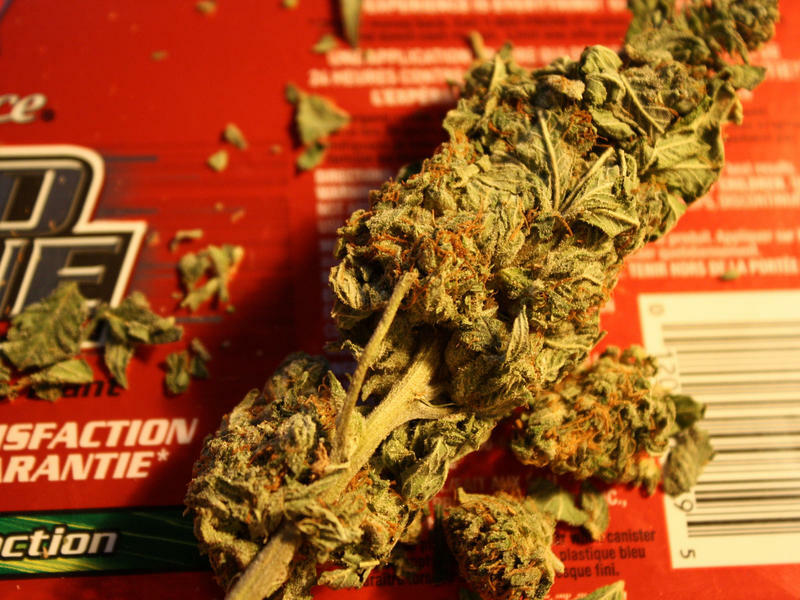 This week, we look into how we came to call cannabis "marijuana," and the role Mexico played in that shift. Pope Francis arrives Monday evening in Rio de Janeiro for a weeklong visit celebrating World Youth Day. Hundreds of thousands of Catholics have made the pilgrimage to see the Argentine-born pontiff, and he is expected to receive a rapturous welcome. 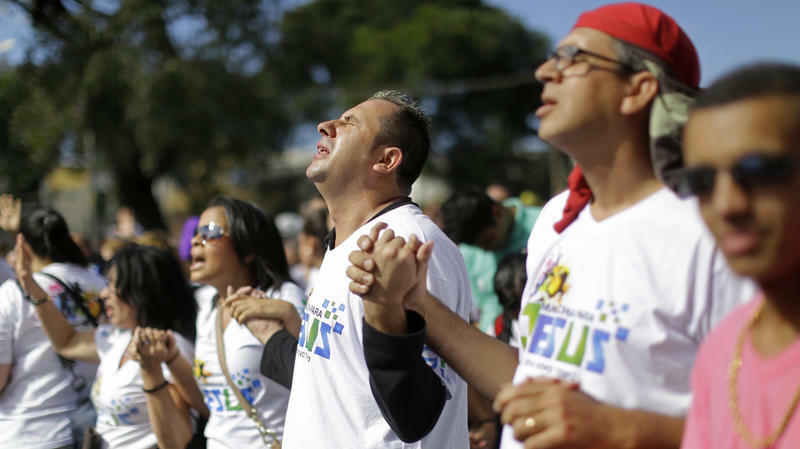 Still, Pope Francis's visit comes at a delicate time for the church in Brazil. Catholicism — the nation's main religion — is facing a huge challenge from evangelicals. 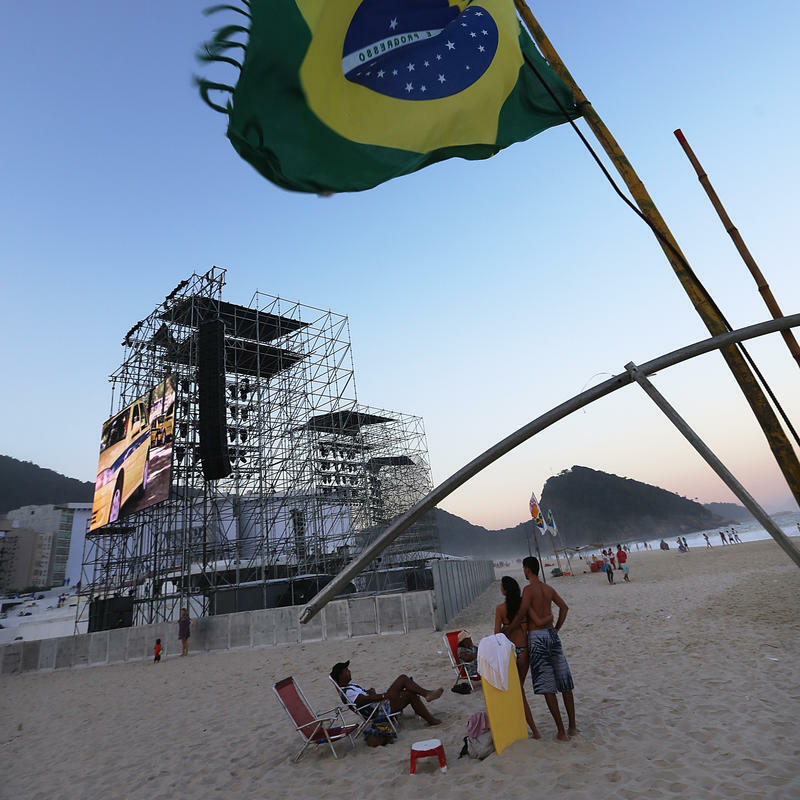 When Pope Francis arrives in Brazil on Monday, he'll begin a trip of firsts. He's the first Latin American pope, and it will be his first trip abroad as pontiff. And he'll be visiting a country with more Catholics than any other. 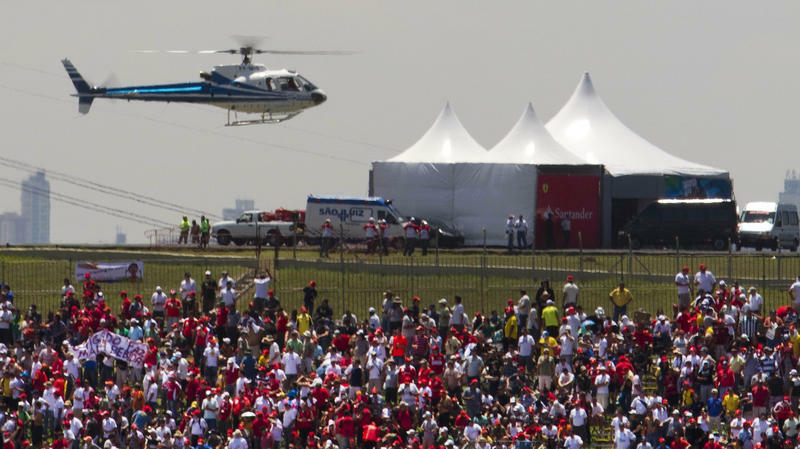 Unlike New York Mayor Michael Bloomberg, who often takes the subway to work, some prominent politicians in Brazil have a far more impressive way of getting around: private helicopters and government planes. Perhaps the most over-the-top example of the trend is that of Rio de Janeiro state Gov. Sergio Cabral. A recent magazine expose showed that his commute to work is only about 6 miles. 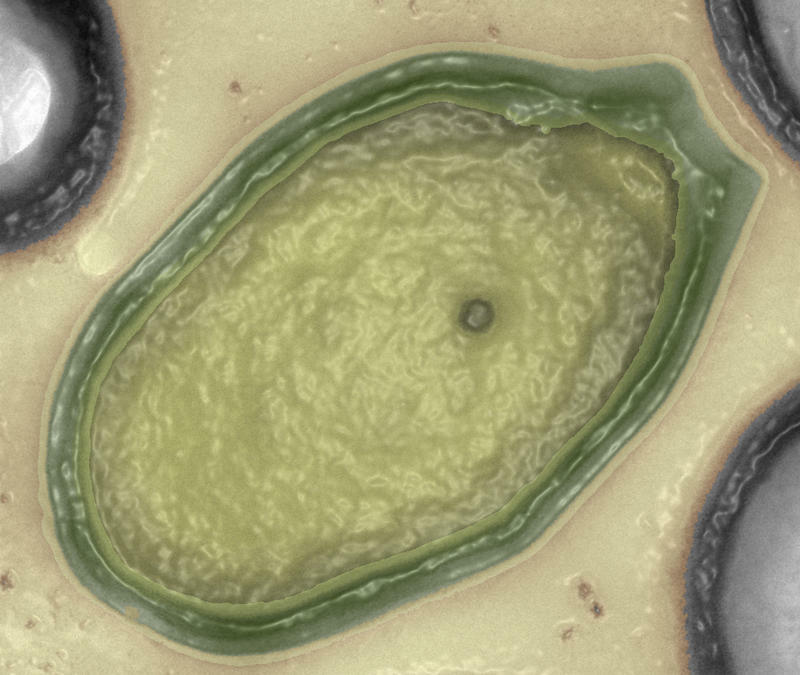 Researchers have discovered the largest virus ever, and they've given it a terrifying name: Pandoravirus. In mythology, opening Pandora's Box released evil into the world. But there's no need to panic. This new family of virus lives underwater and doesn't pose a major threat to human health. "This is not going to cause any kind of widespread and acute illness or epidemic or anything," says Eugene Koonin, an evolutionary biologist at the National Institutes of Health who specializes in viruses.